Arc One Contracting works with architects, designers and structural engineers for wind and axial load bearing steel stud planning - including other natural and environmental structural factors. Our steel stud framing practices have been recognized throughout the industry as best in class from both the perspective of builders and designers. Building owners benefit greatly from our strong industry relationships. We have built a trustworthy and solid foundation that has been established in Metro Vancouver stretching over 10 years! Our craftsmen work with design teams allowing them to think outside the box and create unique building achievements - we work with them from concept to completion. Our thermal and sound insulation practice is to get the job done right the first time! 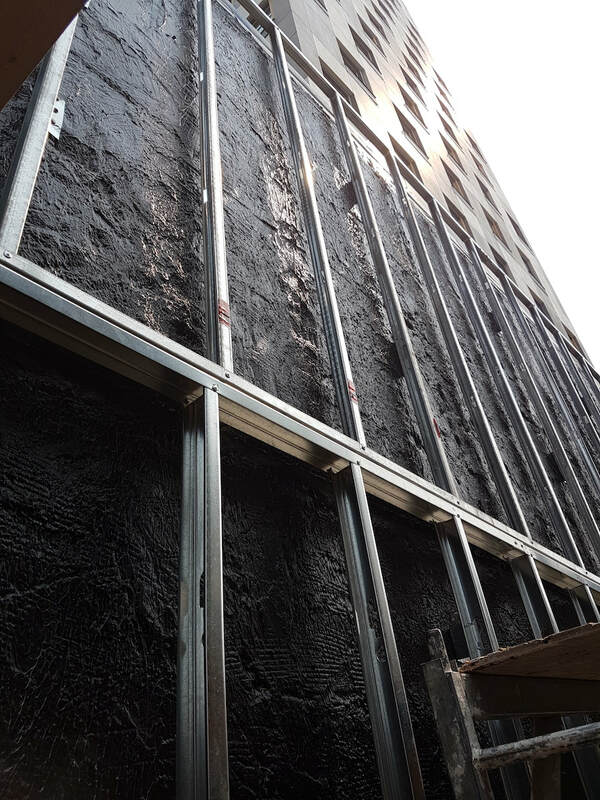 - all buildings structures are unique, and we take this approach to best understand their insulation installation requirements. ​We supply and install insulation such as: Thermal Batt, Spray-on, and Sound. Our team think green to save you money - we properly assess all areas for unique applications such as furred block walls, exterior steel stud walls, window jambs and posts, dome and arched roofs, and air and water barriers. In Canada (especially in Metro Vancouver), proper thermal insulation is critical from a comfort standpoint. It promotes energy efficiency which in return will save your home and or business money in the long run. 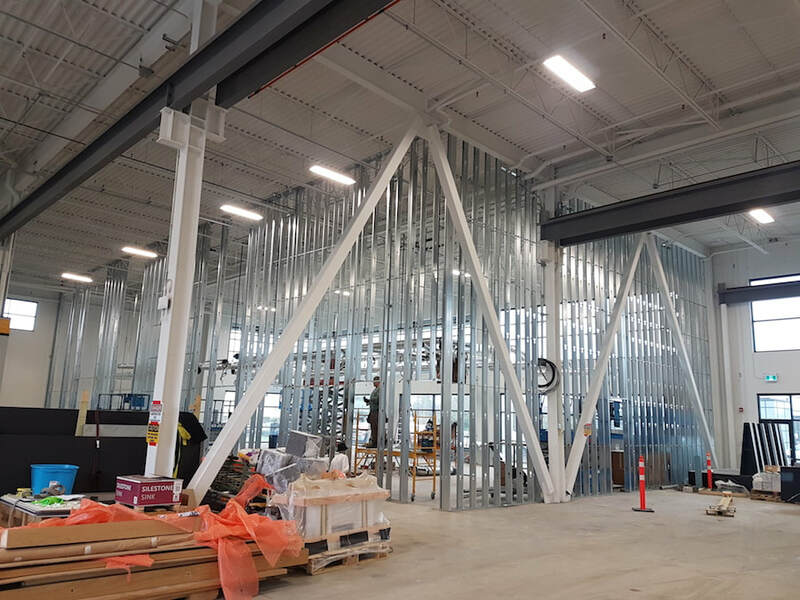 At the steel stud framing stage, our team continues preparations to ensure we understand fully the complexities of the design requirements, as well as the needs for a proper continuous seal for best use. Why Choose Steel Stud Framing? Steel stud framing is one of the best and most feasible alternative building materials for residential and commercial construction. It has the highest strength-to-weight ratio of any building material. It's a 100% recyclable, and has a hight 68% industry recycling rate; much better than wood. Steel is also non-combustible and does not burn or contribute to the spread of fire. This is especially beneficial for and a major factor in medical office builds. Steel studs will not rot, warp, split, crack or creep - they are also dimensionally stable. 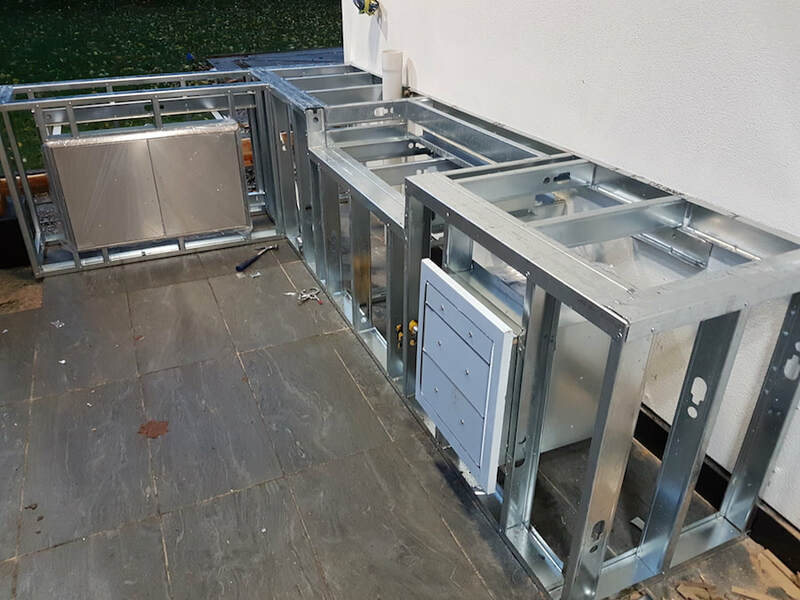 Steel Studs do not expand or contract to changes in the weather, and retains no moisture which is also critical for excellent indoor air quality. Arc One Contracting only uses reliable consistent material quality that's produced in strict accordance with national standards - we accept no regional variations. We build frames to exceed building code standards. Being Lighter than other framing materials it is easier on the labour - which lowers the risk of job site accidents. This also speeds up completion times, and makes for easier on-the-go modifications or design changes. ​Material selection is made easy by reducing the need to sort the pile and remove unusable material. We're able to produce stronger connections than wood framers because we use screws instead of nails - perfect straight walls and square corners can be achieved every time. Less scrap and waste is collected - on average only 2% for steel vs. 20% for lumber is wasted. Our steel stud pricing is stable - industry price spikes are extremely rare. High strength results in safer structures, and less maintenance is required because the structure ages slower. Steel is not vulnerable to termites or mold. There's much less probability of foundation problem due to less weight and less movement - which lowers the probability of damage in an earthquake, and high winds.